Animal Lifeline employs a team of search and rescue volunteers that provide Search and Rescue assistance of lost pets in Central Bucks PA and beyond. If you pet has been lost please call 215-343-5050 and report the missing pet or email us at info@animallifelinepa.org. First, search your property thoroughly. Bring a powerful flashlight (even during daylight hours) for checking in dark spaces. Place strong-scented articles (your scent or the animal’s, like your shirt or their bed) outside your home to attract your pet. Animals find their way by scent as well as sound. Call Microchip Company if your pet has implant and have them send notice to shelters and veterinarians offices. Call and email photos of your pet to local veterinarian offices during the day. After 5 PM, call veterinarian emergency clinics. Call and report your missing pet to Police, Dog Warden, Animal Control, humane societies, and animal shelters, including the ones in surrounding areas. Please also VISIT to check yourself. 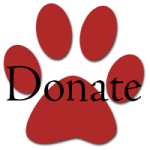 Ask Animal Control, humane societies, and shelters about pet rescue organizations in your area that may have your pet. Utilize the Internet! Post on social media sites and ask your friends to share. Many communities have lost pet pages on Facebook. Place an Ad in your local newspaper. Some will do this for free. Check the newspaper “found” ads every day. Enlist help! Many folks are probably willing to post signs and screen calls for you.